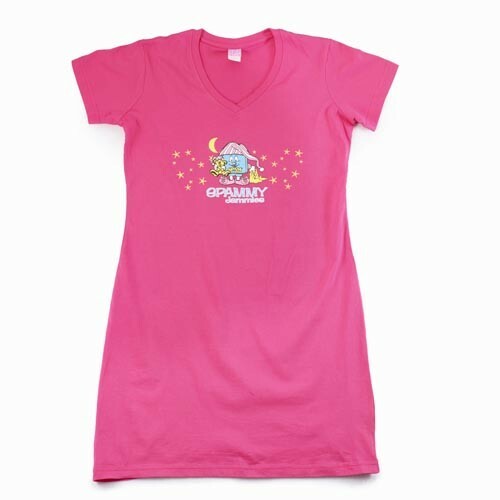 Oversized v-neck pink shirt with SPAMMY™ character and SPAMMY™ Jammies design printed on front. 100% cotton. This item runs small.